4 So trust in the Lord (commit yourself to Him, lean on Him, hope confidently in Him) forever; for the Lord God is an everlasting Rock [the Rock of Ages]. unless they turn to me for help. Or else [if all Israel would escape being burned up together there is but one alternative], let them take hold of My strength and make complete surrender to My protection, that they may make peace with Me! Yes, let them make peace with Me! from the west, and his glory from the rising of the sun. Despite signs of defeat, the Lord God is still good. In the thick of battle in peace we will abide. Faithful Adonai has never slept nor slumbered. He is not slack but hastens to perform His Word. For we know that the battle belongs to the Lord. A year ago, the focal point of a blog entry posted at that time was Isaiah 26:3 and other related verses dealing with trust along with five accompanying songs. 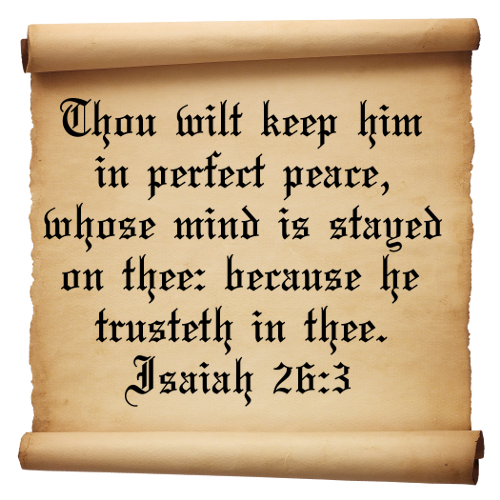 The final song of trust was written and performed by Gary Oliver: “I will trust in you.” In actuality the lyrics refer to Isaiah 26:4, the next verse after the Verse of the Day, that reinforces the comforting and reassuring message expressed in Isaiah 26:3 which promises that God will keep us in a state of perfect peace as we trust him. As a result, we should trust in the Lord God forever, for He is the everlasting Rock of Ages. 32 Since he did not spare even his own Son but gave him up for us all, won’t he also give us everything else? Romans 8:32 causes those who read it to think about the degree to which God, our Father, was willing to go to express His love. It brings to mind that God is the ultimate “Giver.” As the supreme giver, God practices the very principles that He implements. As a liberal giver par excellence, our Father gives, withholding nothing. Without question, He is generous and extravagant in His giving. As the supreme expression of giving, God applies the very principles that He establishes. 16 For God so loved the world that he gave his only begotten Son, that whosoever believeth in him should not perish, but have everlasting life. Though the adversary of souls, the accuser of the brethren, still brings railing accusations against us day and night, Jesus Christ, our advocate, intercedes for us. As such, he is the consummate expression of giving that the Verse of the Day speaks of so clearly. But each day the Lord pours his unfailing love upon me, and through each night I sing his songs, praying to God who gives me life. You shall have a song as in the night when a holy feast is kept, and gladness of heart as when one marches in procession with a flute to go to the temple on the mountain of the Lord, to the Rock of Israel. At your point of need, God is faithful and true. He will lengthen your courage and see you through. You are not alone; God remembers His own. Yes, God still gives songs in the night. Songs in the night to brighten the road. Songs in the night to lighten the load. To uphold you and to help you to endure. Behold, the Light, a new day is dawning. Songs in the night, sung in the morning. 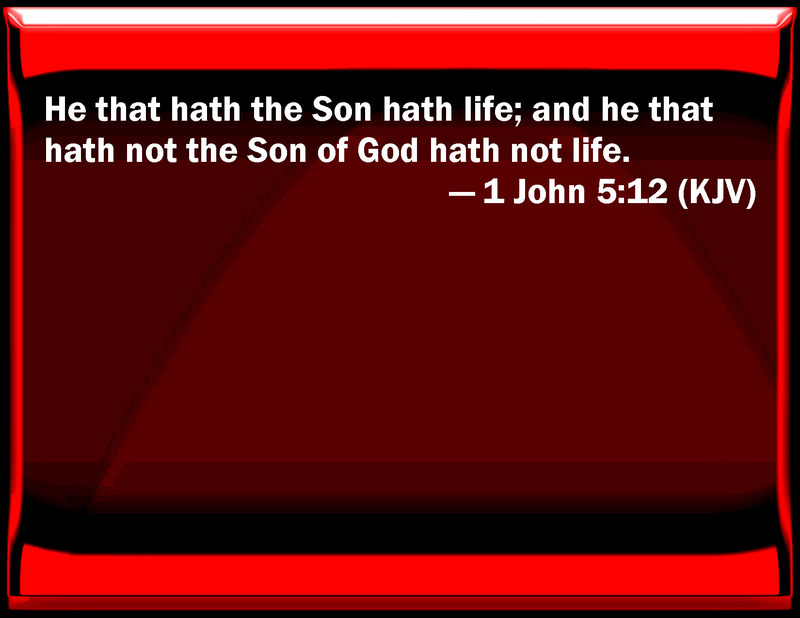 Whoever has the Son has life; whoever does not have God’s Son does not have life. 11 And this is what God has testified: He has given us eternal life, and this life is in his Son. 12 Whoever has the Son has life; whoever does not have God’s Son does not have life. 13 I have written this to you who believe in the name of the Son of God, so that you may know you have eternal life. 14 And we are confident that he hears us whenever we ask for anything that pleases him. 15 And since we know he hears us when we make our requests, we also know that he will give us what we ask for. In reflecting this passage, I recall a poem written at the beginning of the New Year in 2011. I must learn that the life in the Spirit is where I should be. I have been brought into the new to do new things. I know that I am saved by grace, not by my own merit. And provide a place where the Spirit of God may dwell. That to walk in the spirit, not in the flesh, is God’s command. As I mature, I attain a measure of Christ’s fullness. To walk into the true fullness of God in Christ in me. that God may know mine integrity! For the Lord weighs the spirits. So shall you find the balanced life you seek. It is my good pleasure to give you the Kingdom. And stabilize your life, as you strive to do my will. I have found in you a perfected dwelling place where my Spirit can abide. Laodicea. This is the message from the one who is the Amen—the faithful and true witness, the beginning of God’s new creation: “Look! I stand at the door and knock. If you hear my voice and open the door, I will come in, and we will share a meal together as friends. “Come and dine with me,” Jesus said. “I have prepared the table to set before you. I will come unto him and will sup with him and he with me. Even as I also overcame and am sat down with my father in His throne. Every tongue shall confess and every knee shall bow. Where sin once reigned, grace does now even more abound. “I ‘reserved’ you, set you apart, for you are mine. 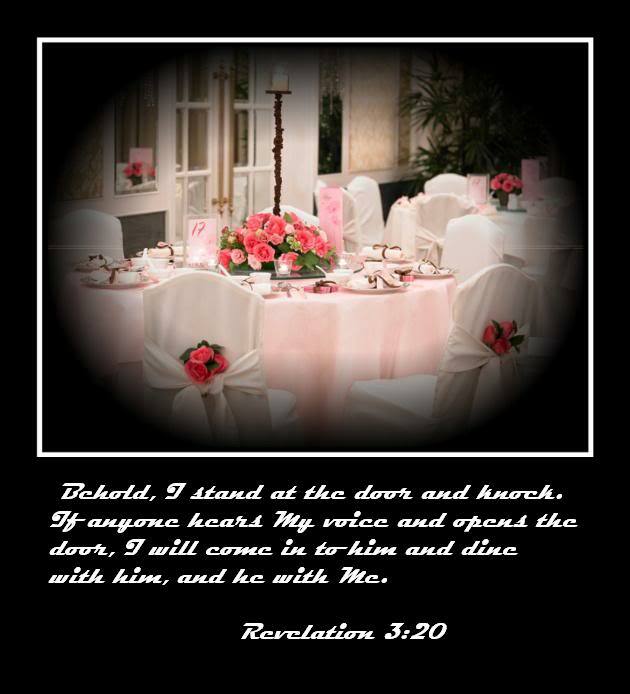 Revelation 3:20 and other related verses build our anticipation for the “Marriage Supper of the Lamb” which will be like no other dining experience known to humanity. Don’t you realize that your body is the temple of the Holy Spirit, who lives in you and was given to you by God? 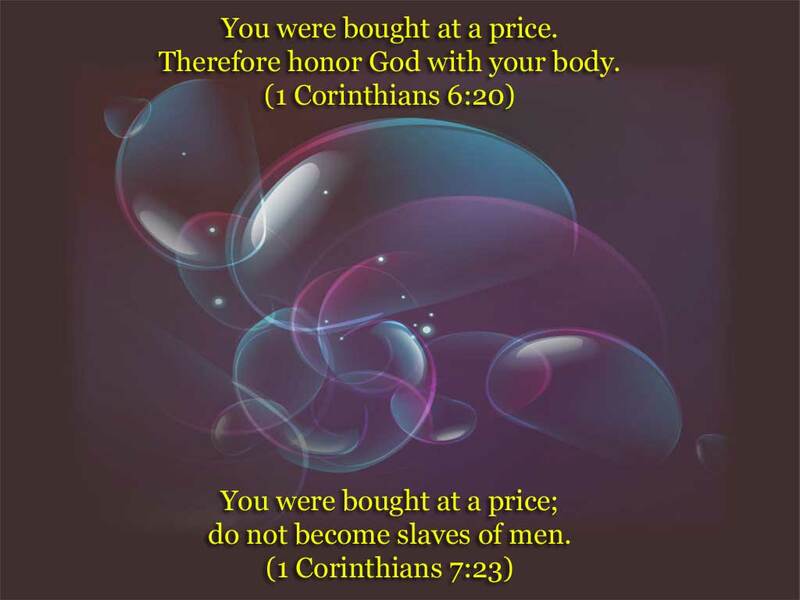 You do not belong to yourself, for God bought you with a high price. So you must honor God with your body. 20 You were bought with a price [purchased with a preciousness and paid for, made His own]. So then, honor God and bring glory to Him in your body. In 1975 I produced an article “Doulos: A Different View of the Slave.” In 1978 while completing my Master’s thesis, I explored the subject in light of Paul’s literary style in the Church Epistles. I went on to complete my Ph.D. in 1986 with a dissertation entitled Portrait of the Bondslave in the Bible: Slavery and Freedom in the Works of Four Afro-American Poets. Four years ago, I posted a blog at “Dr. J’s Apothecary Shoppe” that is revised and re-posted in light of the Verse of the Day. Is this branded bondslave, who embodies “the more. 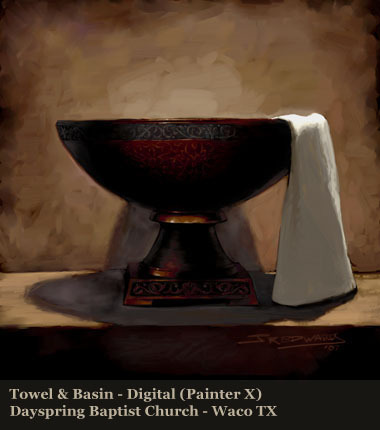 The basin and towel are symbolic of the essence of servanthood as demonstrated by the Lord Jesus Christ in John 13. As a humble servant I long to wash your feet. Blessed the Twelve before he departed from this earth. Let me to wash your feet. At the end of my seventh sabbath year. To proclaim this year of my jubilee. Wherein I stand, a bondslave now made free. Pierce my ear–place your brand upon my soul. That to run to serve is life’s highest goal. And seal my vows to serve you all my days. Once more Michael Card has the perfect song entitled “Jubilee” to accompany this poem. I will conclude this entry by posting a PDF of the original article “Doulos: A Different View of a Slave” which was first published in 1975. Accompanying the article is a letter to Apostle Thamo Naidoo to whom I sent the original article along with two of the poems posted above: “More Than Metaphor” and “This Year of My Jubilee.” I am grateful to my beloved Brother Lester Wiley Carver, who encouraged me to post the article. I trust that it will minister to all who read it. I welcome any comments or thoughts that this post might have inspired. Before reading the article, listen to a powerful song written and performed by Dean Ellenwood, who captures the depth of commitment embodied in the individual called of God to be a bondslave, a true Doulos. From the lips of a dear friend who knows you. Would hear and heed a higher destiny. This calling only God can verify. That I have heard and seen what few will know. And never doubt God’s purpose and His grace. Those who, having heard, rise to heed the call. of its association with a period of probation, trial, and chastisement. . . . There can be no doubt as to the significance of this primary number [one]. In all languages it is the symbol of unity. inflamed deep within my soul a desire to give my all. As words that God spoke over my life I vividly recall. Me to lead God’s people and to give my all in all. 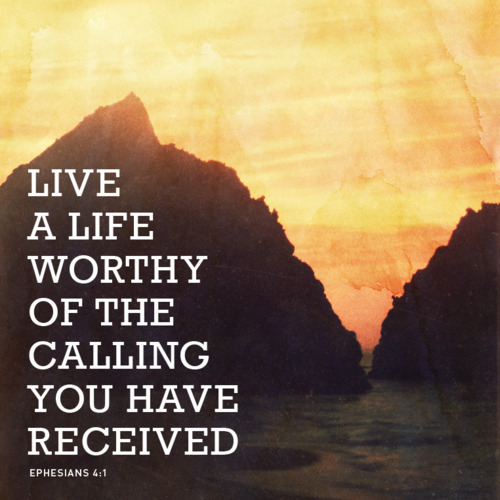 To fulfill God’s divine calling nothing can ever forestall. The rivers of understanding God’s purpose and grace still merge. [Psalm 46] [For the choir director: A song of the descendants of Korah, to be sung by soprano voices.] 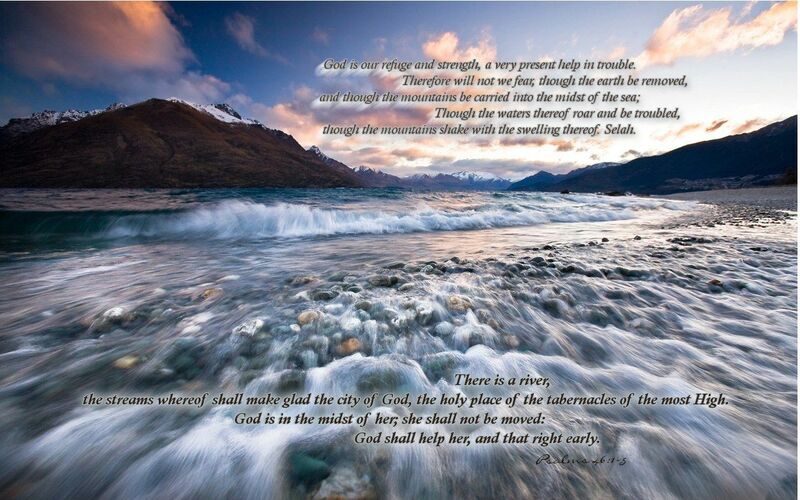 God is our refuge and strength, always ready to help in times of trouble. O Lord, be gracious to us; we have waited for You. Be their arm every morning, our salvation also in the time of trouble. the God of Israel is our fortress. Be still my soul and be at peace. Rise above your circumstance and rest in me. When you live in the light of eternity, the question changes from “How much pleasure am I getting out of life?” to “How much pleasure is God getting out of my life?” God is looking for people like Noah in the 21st century—people willing to live for the pleasure of God. This lifestyle of worship is the only wise, sensible way to live. A man who walked with God, and God was pleased with him. God seeks that He might find. And who are renewed in the spirit of their mind. As in the days of Noah God is still seeking. As He was seeking then, I am seeking now that I might also find. May I find grace in Your eyes, O Lord. May I find favor according to Your Word. may I learn to be meek. In Your eyes may I find all that I seek. What is your pleasure? What shall I bring? What do you desire as an offering? What shall I give you? What will suffice? What shall I offer as a perfect sacrifice? Tell me your desires: what do you say? Your only desire is that I learn to obey. A broken spirit, a broken and contrite heart. This is your pleasure. This will I bring. I give you my life as an offering. You have purchased me: You have paid the price. I am your offering: a living sacrifice. Teach me to follow you; teach me your way. Teach me to listen and quickly obey. I long to please you and see you smile. May a heart of worship be my lifestyle. This journal entry written more than 11 years ago, still has personal application for me today. 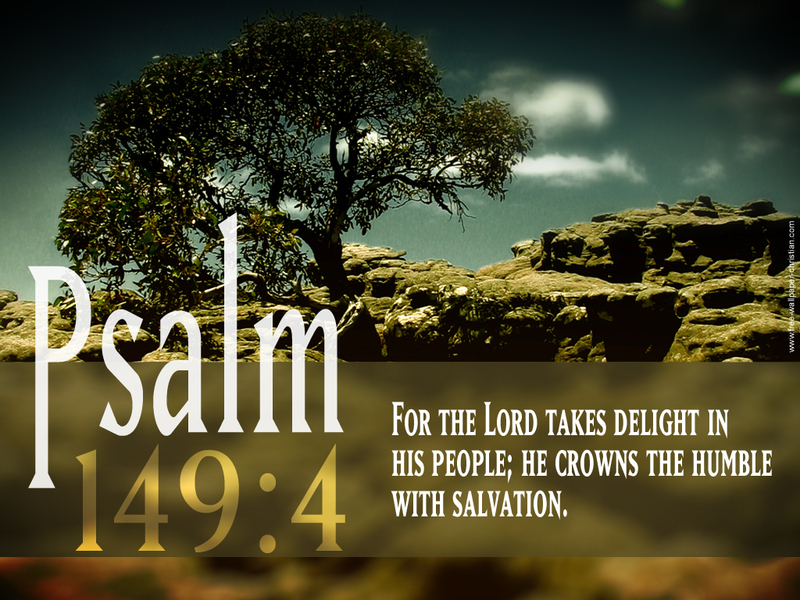 For the Lord delights in his people; he crowns the humble with victory. How comforting to know that God takes pleasure in our company. Often when we encounter situations whereby we must make a choice, the individual presenting the options will ask: “What’s your pleasure?” What would you like? What would bring you pleasure or what would delight you? Delight can be used as a synonym for pleasure. As a verb, it means –to take pleasure in, to enjoy, to appreciate, to savor; as a noun it is means–joy, a high degree of pleasure, happiness, satisfaction, etc. I recall that the first poem that I wrote was a rather accidental (providential) occurrence taking place during my first year in college in my freshman composition class when I was asked to write a response to this prompt:”May I Tell You What Delights Me?” I made a list of things that brought me pleasure, and when I read what I had written to the class, my professor described it as poetry. Years later I realized that I had written a free-verse, catalog poem, in the style of Walt Whitman. Near the top of the list of sources of delight for me was the Book of Psalms, which not only speaks of what God takes pleasure in but the expression “good pleasure” is also used. God is both the energy and the energizer—even beyond the Energizer Bunny that keeps on going and going. The verse also expresses God’s desire: “Both the willing and the working (the energizing).” God does it all, then. Yes, but he puts us to work also, and our part is essential. In this place where our divine destinies intersect. Far beyond anything our mortal minds can reason. To abide in God’s perfect will Jesus led the way. To reverse the curse of Adam who chose to disobey. God’s desire is that we know joy without measure. In fulfilling God’s will His presence is ever near. Where we prove His perfect will and know His good pleasure. In the good pleasure of His will where we long to abide. Esther Mui offers this Christian Scripture Worship Song with lyrics from Psalm 149 in its entirety, from which the Verse of the Day is taken.